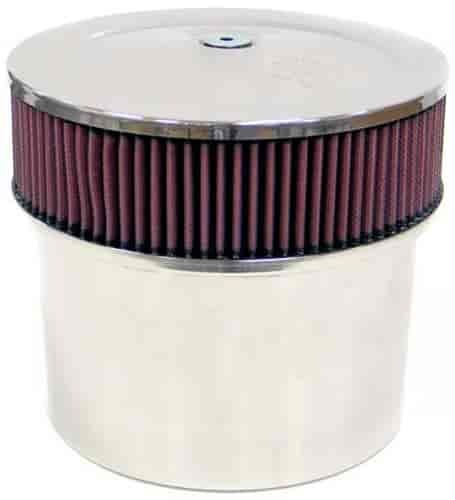 K&N Tall Velocity Stack Assembly with Air Filter Element Height: 2-7/8"
Race car engines take in a lot of air and with it comes a lot of dirt! These tall velocity stacks not only clean but straighten and smooth incoming air. Many engines actually produce more power with a K&N Velocity Stack than with no filtration at all. Mounting hardware sold separately.